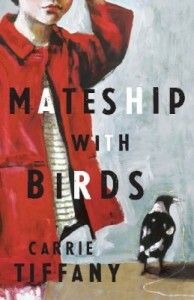 Over eighty titles were submitted, a group that represents both the quality and diversity of Australian literary publishing. The Women’s Prize for fiction, previously known as the Orange Prize, has announced the twenty titles on its longlist for 2013. The Women’s Prize for fiction is awarded for the best novel of the year written by a woman. Any woman writing in English – whatever her nationality, country of residence, age or subject matter – is eligible. The shortlist will be announced on the 16 April 2013 and the winner who will receive a prize of £30, 000 will be announced on the 5 June 2013. A great list of books; some are already really popular among Library members. Any copies not held within the Library have been ordered and can be reserved online once they become available.